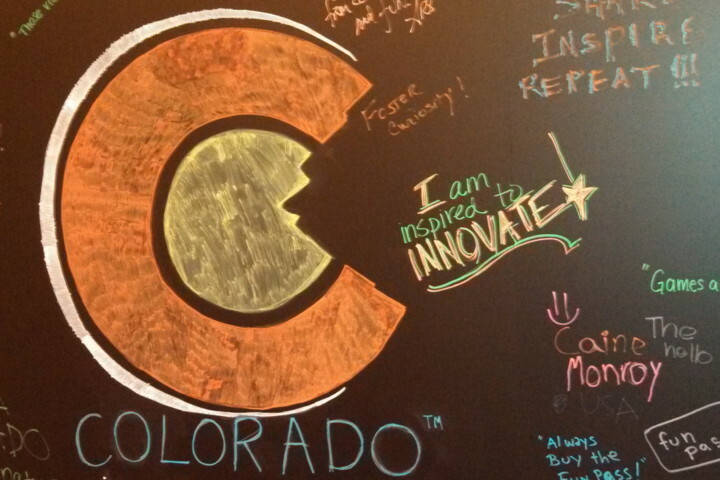 This summer was an eventful three months for Colorado’s technology industry. A major European media company bought a controlling stake of a leading adtech startup, two flagship tech companies raised late-stage equity rounds, and NASA might have dashed the state’s dream of becoming the hub for the next generation of space flight. Here’s a quick recap of the third quarter’s top stories. SpotXchange Sells Stake for $144 million. SpotXchange has been a rising star in the adtech world, and that status was confirmed in July, as RTL Group, a major European media company, announced it will buy a 65 percent stake in online-ad startup SpotXchange for at least $144 million. SpotXchange is an online advertising marketplace that focuses exclusively on selling video ads. Digital publishers including the Atlantic and Hearst Corporation use SpotXchange to sell ads in real-time auctions to advertisers looking to make video a part of their online marketing efforts. Real-time bidding is a type of programmatic advertising, which is the automated buying and selling of digital ads. SpotXchange says it conducts more than one billion auctions a day and delivers ads to 335 million people in more than 100 countries per month. RTL Group will have the option to acquire the rest of SpotXchange in the future, and the size of the deal could grow if the company exceeds performance goals. The deal values SpotXchange at about $221.5 million. It looks like a healthy exit for the company, especially because SpotXchange appears to have raised only about $13.4 million from investors since it was founded in 2007. But it doesn’t appear the founders are going anywhere or giving up control of the company. SpotXchange co-founders Mike Shehan, the CEO, and Steve Swoboda, the chief operating and finance officer, will remain with the company and manage its operations, RTL said. Standard bearers raise large rounds. When naming Colorado’s top tech companies, Boulder-based LogRhythm and Denver-based Ping Identity lead the way. That seems likely to continue, as both software companies raised big growth equity rounds that could see them through to expected IPOs. In July, LogRhythm raised a $40 million Series E round, bringing the total the IT security company has raised since being founded in 2003 to $71.5 million. The round should be LogRhythm’s last as the company charts a course to go public in the next few years, CEO Andy Grolnick said. LogRhythm makes software that tracks and analyzes security threats by tracking who is attempting to access an enterprise’s network. The software is able to identify security breaches, track what intruders do, and attempt to limit the damage and close future holes. In September, Ping Identity closed a $35 million round that was led by KKR, a Wall Street private equity company. CEO Andre Durand said that the round will give the company a chance to develop new products and scale its sales team around the globe as it continues working toward an IPO. Sierra Nevada’s dream in doubt. Aerospace company Sierra Nevada Corp. had a dream: to build the spacecraft that would replace the Space Shuttle as NASA’s vehicle for manned space flight. The reusable vehicle, known as the Dream Chaser, was competing against capsules being developed by Boeing and SpaceX to win the contract from NASA. In September, NASA might have dashed that dream, awarding Boeing and SpaceX multibillion-dollar contracts while giving Sierra Nevada nothing. It was a major setback for Sierra Nevada, and possibly Colorado’s aerospace industry. Sierra Nevada has since laid off employees who were working on the project. The dream might still be alive, however. Sierra Nevada has filed a legal challenge appealing NASA’s decision. It also has outlined a new strategy to use the Dream Chaser for private flights. One of Colorado’s leading startups replaced its CEO in September. SendGrid, a Boulder-based company that makes e-mail delivery software, named Sameer Dholakia its new CEO. Dholakia formerly was a vice president with Citrix (NASDAQ: CTXS) and CEO of VMLogix. Dholakia replaces Jim Franklin, who led the company since 2011. The move was something of a surprise, as SendGrid appeared to be doing very well. Under Franklin, SendGrid reached revenue of $28.9 million in 2013 on 1,900 percent revenue growth over the past three years, according to the company’s Inc. 5000 listing. SendGrid ranked 233rd among all companies and 16th among software companies. That doesn’t appear to be enough, judging by how little SendGrid has said since announcing Dholakia’s hiring. SendGrid has raised $27.4 million from investors, including Bessemer Venture Partners and Foundry Group. It was founded in 2009 and is a Techstars graduate.